The US media’s obsession with “Juuling” continued this week, with multiple news stories spreading alarmist claims about the popular compact vaporiser. Meanwhile, in the UK, a new pro-vaping campaign organised by the industry plans to use vape shops to steer smokers towards safer alternatives. The country’s health service is also continuing to move in a positive direction, with new guidance to doctors on the benefits of switching. Finally, in a bid to overturn a draconian new tax on e-cigarettes, New Jersey vapers are appealing for signatures on an online petition. Brisbane’s Gold Coast is not the only venue for fun and games in a land down under. 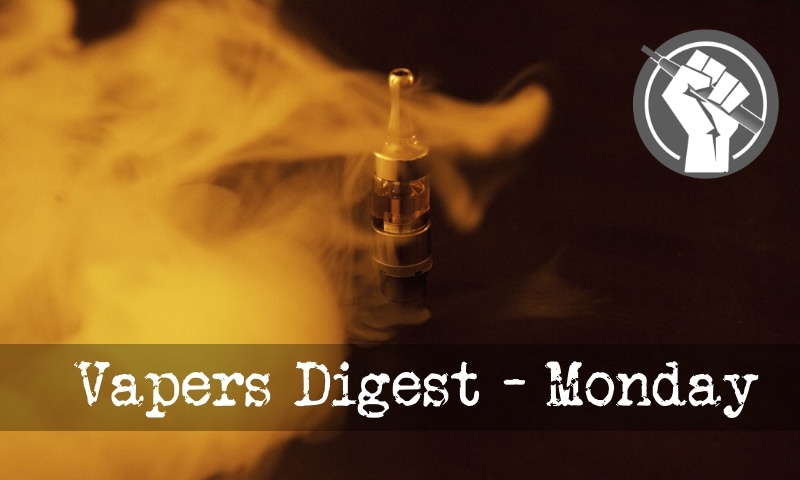 In March, the Australian Parliament published its enquiry into e-cigarettes. Clearly the ‘status quo’ outcome was a major disappointment, but there were some positive takeaways and hopefully Australian tobacco harm reduction activists might feel that the argument has moved on. Two researchers at the University of Louisville have revealed a fatal flaw in a paper out of Stanton Glantz’s shop and called for its retraction. Glantz and his coauthors analyzed a survey of American teenagers and concluded that the results suggest that vaping causes teens who have tried a cigarette to progress to being smokers. In an online comment at the journal, Brad Rodu and Nantaporn Plurphanswat identified a variable in the dataset that when controlled for — as it clearly should have been — makes most of the reported association disappear. Rodu then published two blog posts explaining the flaw in the Glantz study and calling for it to be retracted. For the second time in just four months, anti-tobacco (and anti-vaping) activist Stanton Glantz is facing sexual harassment and academic misconduct accusations from a former subordinate at the University of California-San Francisco. Doctor Joseph Allen is an assistant professor at the Harvard T.H. Chan School of Public Health. He has been linked to flawed and debunked studies and conducted himself in a questionable manner when it comes to tobacco harm reduction. Now he uses the platform of the New York Times to push formaldehyde back in to the public consciousness in a duplicitous manner. There is growing evidence for the effectiveness of e‐cigarettes as a quitting aid and, although not completely harmless, the scientific consensus is that they are substantially less harmful than smoking tobacco. More research is needed, but there is now sufficient empirical evidence and real‐world experience over more than a decade to consider their use as a legitimate tobacco harm reduction tool for smokers who are unable or unwilling to quit with conventional strategies. Smokers should be advised that the highest success rates occur with daily use with nicotine e‐liquid and newer e‐cigarette models. Harvard’s School of Public Health and the New York Times op-ed page have storied histories. Both were once highly respectable institutions. But a recent op-ed by on the Times op-ed page by Joseph G. Allen, an assistant professor at the Harvard school, demonstrates how far both have fallen. The piece is astonishingly bad, reading like an article in a medical office pamphlet, written in 2014 by an intern at a local public health agency who just completed her undergraduate in sociology. Italy has become British American Tobacco’s first market to offer consumers products from both its innovative vapour (Vype) and tobacco heating products (glo) ranges following the launch of glo in Turin, Italy this week. glo is BAT’s flagship tobacco heating product brand. It’s a device which heats – rather than burns – tobacco. The vapour formed during the heating contains around 90% to 95% less toxicants than a standard cigarette* and thus has the potential to be less risky than smoking. Italy is BAT’s seventh glo market – joining Japan, South Korea, Canada, Switzerland, Russia and Romania. Using a naturalistic approach, we sought to understand how the current law was experienced by e-cigarette users (vapers). Twenty-nine vapers were interviewed by telephone, between May and September 2016, using a semi-structured interview schedule. Open-ended questions covered: initiating vaping, the experience of stopping smoking, technical problems encountered, reasons for vaping, acceptability of vaping, addiction to vaping and advice given to smokers about vaping. The audio recordings were transcribed and then independently coded using a general inductive thematic analysis. The deeming rule is one of the most controversial topics concerning vaping today. When they were first passed back in 2016, many in the vaping community saw it as a significant issue for the industry. But others claimed that it was a needed adjustment that would ultimately be fine. Now a new detailed breakdown of the FDA’s deeming rule has concluded that these rules are indeed likely to cause a massive disruption in the growing industry. Today the Royal Society of Public Health is pitching its ‘undercover investigation’ into vape shops selling stuff to adults who don’t smoke. Naturally, the primary purpose of this exercise has little to do with public health but is a publicity stunt for an ailing organisation in a declining field that offers ever less to the public or to health. This is news according to the Royal Society of Public Health. According to the quotes in the media, there is an industry wide ‘Code of Conduct’ that, apparently, all vape shops supposedly abide by. Thing is, that really isn’t the case. The IBVTA have guidelines for their own members, however it is not known or clear if the shops that were involved in this undercover investigation are members of the IBVTA.